At number 4299 is Palazzo Contarini dal Bovolo with its arched facade facing the canal. 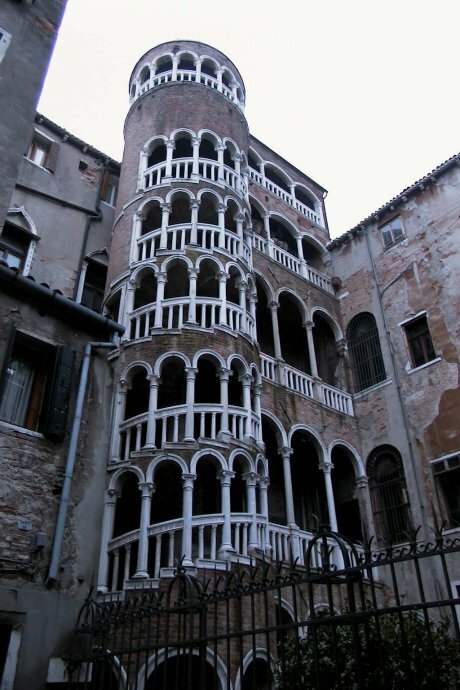 It takes its name from the spiral staircases (in Venetian bovolo) which are built in the garden and make this lombardesque edifice quite unusual. It was probably the work of Giovanni Candi in 1499. Within the enclosure can be seen some well-curbs, one in the Veneto- Byzantine style of the 11th century, and various decorative fragments.